1. Craftsmanship Meaning: A craft practiced with great skill; quality and fine workmanship. We aim to set a new standard in home renovating, applying modern techniques to the old world craftsmanship of yesteryear. With 30 years’ building experience and unparalleled expertise in older home renovating, founder Barrie Swarbrick and his fully qualified building team are committed to crafting an outstanding result, every time. 2. We’re specialists Renovations, alterations and extensions of villas, bungalows and other older homes is our specialty, and we’ve been providing these services for 14 years. 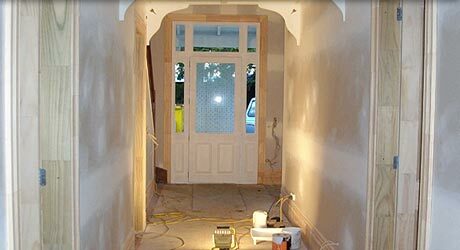 Why use a builder who does everything from new home builds to minor alterations and commercial fit-outs, when you can use a specialist with the expertise and experience to renovate your much loved older home. 3. We’re qualified, certified and licensed All of our builders are Licensed Building Practitioners. As fully qualified builders, Craft Renovations is a registered member of the Certified Builders Association of New Zealand. This means you can be confident that we have the skills, knowledge and track record to renovate your home right the first time. 4. Our guarantee We guarantee to craft you renovation to the highest standard, and you will love the result. We stand behind the quality of our work and offer our clients a comprehensive guarantee. As a member of the Certified Builders Association, our clients can also apply for a ten-year written guarantee when undertaking renovations. The most comprehensive independent guarantee in the business, it gives you additional peace of mind in the quality and completion of the project. 5. A complete service Craft Renovations offer a complete, hassle free service for your home renovation, project managing all aspects of the build from plans to completion. We will coordinate and manage all subcontractors working on your project, and keep you informed and involved, with regular updates of costs, timelines and progress. 6. We listen We start each project by taking the time to listen and understand your renovation needs, and then communicating how we can best fulfil them. We respect that clients typically have lots of questions during this early stage, and we want you to feel confident in the process and the end result. 7. Partnership approach We want your home renovating experience to be an adventure as well as an exciting outcome. We will work alongside you through every phase of the project, crafting the details with care, and sharing your passion to create your dream home. 8. Problem solving and adding value We enjoy a challenge, and no renovation is without them. We will problem-solve and look to add value every step of the way, applying our expertise to make even the most challenging projects a success. 9. We love what we do Clients are always telling us how much they enjoyed working with our building team. When you love what you do, it shows. 10. Cleanliness We keep the renovation site clean and organised. We know that cleanliness is essentially a reflection of our work standards, and so it means a lot to us. Many of our clients choose to live through some or all of the renovation, and we always do our best to minimise the disruption to your life.